Since the beginning of the AIDS epidemic, a counseling alumnus’s organization has taken in more than 1,700 babies with HIV. It was 1987 when Terrence Zealand, Ed.D. G’71 and his wife, Faye, opened a one-family brick home in Elizabeth, New Jersey, for HIV-positive babies. This was the year that AZT, the groundbreaking HIV treatment medication, was approved by the FDA, but years before the dramatized story chronicling the discrimination against Ryan White, a boy who contracted the virus through blood transfusions. 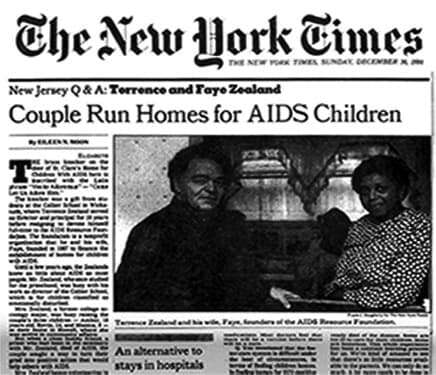 But Zealand and his wife were already bringing young children who were HIV positive — feared in the outside world, feared even in hospitals — into a home they called St. Clare’s. They had already begun a foundation for people with AIDS, the AIDS Resource Foundation for Children (ARFC). Their idea for the home began after they met a baby in a hospital in Newark, New Jersey, whose mother had AIDS. 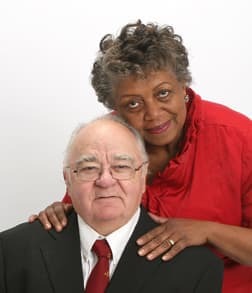 More than 30 years later, the graduate counseling alumnus from Trenton, New Jersey, and his wife have made possible the care of more than 1,700 babies. It would always be hard to watch the babies get sick and die, he said, but the very beginning was hard in other ways, too. Although it turned out to be an isolated incident, Zealand was undeterred. It has been his faith in others, like the dozens who volunteered to hold and play with the babies in Elizabeth that first year, that have buoyed him throughout his career. During high school, Zealand began training to become a priest at a Franciscan seminary but left after 11 years of training. His younger brother, already a Scranton alumnus, suggested he check out the graduate counseling rehabilitation program at the University. After securing a federal training-ship, Zealand enrolled, working as a resident assistant in order to help pay for his education. He was already dating Faye, who began working at Head Start in Scranton. They married during his third semester in graduate school. Click here to read the full story in The Scranton Journal! 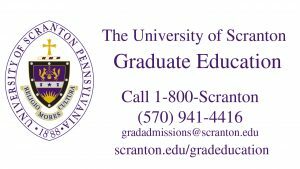 Click here to learn more about the Rehabilitation Counseling program at The University of Scranton!